that Brigadier George Lewis has been appointed Deputy Chief Executive Officer [DCEO] at the institution. His appointment it was noted became effective yesterday. Brigadier Lewis is suitably qualified and brings to the Institution a wealth of knowledge and experience in management, the hospital said. 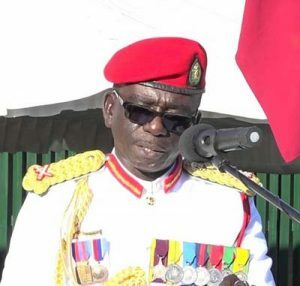 Brigadier Lewis, according to the statement, holds a Bachelor’s Degree from the University of Guyana in Public Management and a Master of Science Degree from the Central Michigan University in Human Resources Management. Additionally, he possesses qualifications in Project Management and Conflict Resolution.